from Clemenger and Wavemaker in a global pitch. The new work has been executed by bespoke team, The Neighbourhood, formed by Publicis as a Power of One solution. Backed by research that found half of Australians believe that mobile phones are preventing them for face-to-face interactions, the campaign aims to serve as a reminder there’s no substitute for sharing moments of real connection. In the two-minute film realised today, everyday Australians were asked to read their text message conversations to each other, face-to-face, as part of a social experiment investigating the way our communications change from devices to in-person. A diverse cast shares their heartwarming results with a grandfather overwhelmed with the touching message shared by his grandson, a group of women reflecting on years of friendship and bestfriends tasked with telling eachother how they feel in person rather than Instagram. The 'Open Something Real' campaign builds on the foundation of the brand's ‘Bring out the Biscuits’ premise, which was introduced in 2015 by former agency TKT Sydney. Rebecca Carrasco, the lead creative within The Neighbourhood offering, said the campaign is the "first wave" in a suite of work on the brand. “It’s exciting when an iconic brand commits to a point of view that has social value beyond advertising," said Carrasco, who joined Saatchi & Saatchi in March. 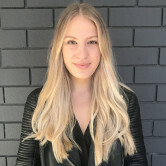 The Neighbourhood encompasses services and expertise from multiple agencies across the Publicis group, with Kate Smither heading up strategy and a selection of Saatchi & Saatchi and Spark Foundry execs working on the account. Arnott's marketing director Michelle Foley said the research revealed as a society we're sharing less than ever, so the campaign wants to encourage Aussies to rediscover the joy of sharing. “Arnott’s has always believed in bringing people together and the real connections that occur when we do... It’s important to make time to sit, talk, and really connect and we wanted to remind people of that," she said. The campaign is currently running across social media, with 15-second clips being used to push certain products, such as Tim Tams, over the Christmas and summer period. Publicis has revealed the first work for Campbell Arnott’s since winning the account from Clemenger and Wavemaker in a global pitch.